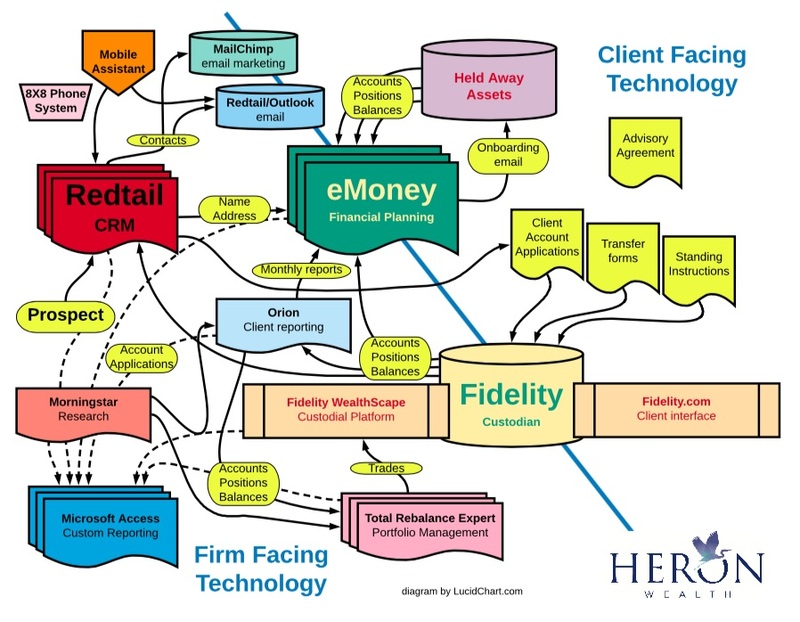 It got me thinking — could the same methodology help advisers improve their technology? As advisers have tried to modernize their practices over the past decade, many have assembled a Frankenstein monster of various third-party technologies and legacy platforms. Firms have picked out a CRM, financial planning software, a portfolio manager and maybe a few other tools for things like reporting, research or marketing, and have bolted them onto whatever system their back-office relies on. For David Edwards, president of Heron Wealth, the result looks like a bowl of spaghetti. While Mr. Edwards is proud of the efforts he's made integrating the technology and getting it all to work, he still has until problems with onboarding. "We signed a new client 10 months ago and still don't have the assets on board," he said. "Time and again we are "not in good order" according to the custodian."